You know when you click a link to a website and it’s like “Oops, this page doesn’t exist!”, well, that’s what we’re talking about today. 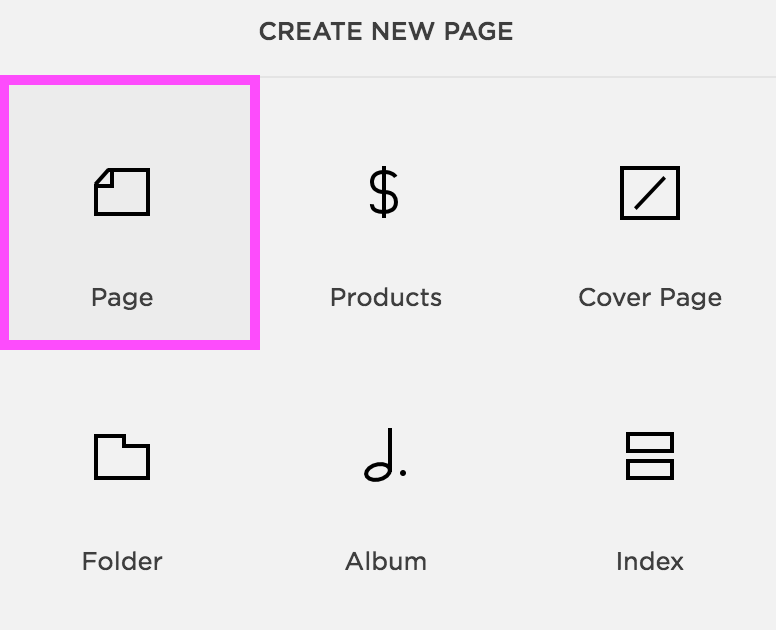 Squarespace makes it super easy to customise this page, but a lot of people overlook doing this. Why would you do it? Either way, the person clicking the link isn’t going to get to the page they’re looking for, right? So why does it matter? If people navigate to your website and land on a ‘page not found’ page, chances are they will quickly navigate away from your site because they can’t find what they were looking for. The aim of the website game is to keep people on your site. If they land on a default 'page not found' page, they’re going to just leave. But, if you customise this page, you might just be able to keep them around - woohoo! You may not, actually, if you’ve looked over your website properly, you really shouldn’t have any. But here’s the catch for a lot of us biz owners: if you post a lot of links around the interwebs (eg, if you use Pinterest or any sort of Social Media for your biz) then you’re bound to have some faulty links in there somewhere. There’s a very good chance that there are going to be people landing on your site on a 'not found' page at some point. It doesn’t offer much information, just a “try again” and a “head to our homepage”. As soon as people see the error, they’re likely to navigate away. This Squarespace default is actually a lot better than some website defaults, but we can definitely improve on it! I like to direct my visitors to use a conveniently placed search bar to look for what they came to see in the first place. I also tell them to use the navigation in my menu bar to navigate around the site. “Can’t find what you’re looking for but want to get it touch?”. Add a contact form to the bottom of your page so people can contact you from there if they want to. And trust me on this one, it works! I’ve had visitors contact me via the contact form on my 404 page. You can really add anything to this page that you think will keep your visitors around. Maybe an opt in? An About Me section? Whatever you think we’ll get ‘em hooked! Remember to keep this page on brand too. Add your logo and any images, put some thought into the design of this page. Though make sure to not over clutter it, keep the search bar and the navigation obvious so they can click through to your site and find the page they were looking for. It’s super simple! Just head over to your Squarespace dash and add a new Page in the Not Linked section. Design your new page as your 404 page, adding a search bar, contact form blocks and whatever else you want to add. Once you have finished your page, head back to your main menu and click Settings > Advanced > 404 > Then choose your new page from the dropdown list of pages. Remember to click save, and, voila! You now have custom 404 page, congrats! Do you have a custom 404 page? Have you been contacted via your 404 page contact form before?! Let me know in the comments!